Thank you for visiting Scripture Prayer for Success and Provision. To fully understand the principles of praying scripturally, please read the teaching “Why Pray Scripture?” . Hearing God: As it is rare to hear an audible voice from God, one of the ways God will speak to us is through His written Word and a small still voice inside us. Before reviewing the scripture references below that address what the Bible says about success and provision ask the Holy Spirit of revelation to join you. When certain verses capture your attention more than others, meditate and incorporate those into your personal daily prayer life. I come before You in the name of Your son, Jesus Christ, and I praise you and thank you that You are Jehovah Jireh, my God and provider. I thank you for the many ways You have provided for me and my family and that it is Your desire that we would prosper and be in good health even as our souls prosper. 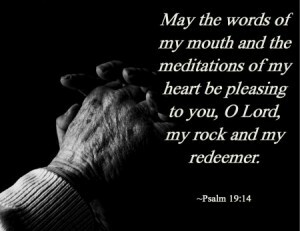 Help me to prosper my soul in Your Word and to listen to Your instruction and acquire wisdom. Thank you that Your blessings bring wealth and You add no sorrow to it as You fill our treasuries for Your glory. Your gifts are better than the purest gold, Your wages better than sterling silver. I ask for wisdom and Godly counsel so that I can work wisely and prosper and be satisfied. Lord, You have said that You will show me a way out of my problems. I ask for that now. Forgive me where I have been fearful, greedy, or foolish in my work and my finances. Help me to have integrity and wisdom and to persevere in righteousness. Forgive me for idolatry to the things of this world and help me to love You more. And I ask that You mercifully restore my losses. I choose to walk in righteousness, in paths of justice, and to love and honor You, Oh Lord. Dear Lord, I confess and declare that I will trust in You and lean not to my own understanding for You have said that You perfect the things that concern me. You even give to Your children as we sleep. Lord, I will seek first Your kingdom and Your righteousness. I will praise You for the wonderful things You do. I will not throw away my confidence in You, Lord. My hope is in You and I will persevere and receive Your promises in my life. And I will honor and serve You all the days of my life. I chose to be a cheerful giver and to be generous for that is Your heart, and You have said that a generous man will prosper. I will give ten percent of my income to You, Lord, and I will watch the windows of Heaven open and poor out a blessing just as You have said. Give me Your heart for the poor that I would joyfully give offerings and gifts to those in need. And thank you that as I give, it will be given unto me. Thank you that I am like a tree that’s planted by the rivers of water and whatever I do will prosper by Your grace because I belong to You, and You take pleasure in the prosperity of Your servants. You give me the ability to produce wealth for Your kingdom without shame or sorrow. If You are for me, who can be against me? You are awesome and I am humbled by Your love and grace. I am thankful that Your love for me endures forever and Your plans for me are always for good and not for calamity. Thank you for Your great and precious promises that I can inherit through faith and patience. I am so grateful that You are at work within me to cause me to desire and to do Your will. I commit my work, my giving, and my finances to You, and ask that You cause my thoughts to become agreeable to Your will so that I will succeed to Your glory. I thank you, Jesus, that on the cross You set me free from the curses of the law (Deuteronomy 28) of sickness, poverty, and eternal death. In Your name, I believe these things are broken off my life. Show me how to walk out of the habits of them. And I receive the blessings of health, prosperity and eternal life that are mine through Your shed blood on the cross. I thank you, Lord, that You will reveal the things that are unseen and You will show me the way to prosperity and success as I honor You. I love you, Lord. Your grace is truly amazing and all the glory is Yours. Scripture Prayer for Success and Provision was written to lift up and encourage the body of believers; sharing your testimony is one of the ways that we continue to overcome the enemy. If this teaching on Scripture Prayer for Success and Provision has impacted your life, we invite you to share your testimony.